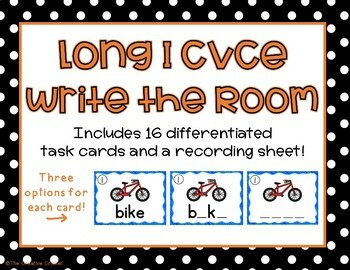 Your students will enjoy practicing long I CVCe words with this fun and engaging activity! 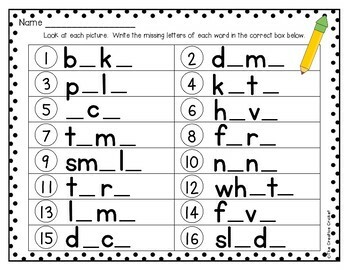 *Print task cards (Pages 4-7 OR 8-11 OR 12-15). There are three different options for each card. *Cut apart cards and laminate for durability. *Print a recording sheet for each student (page 16 OR 17). There are two different options - see the preview! *Place cards around the room. 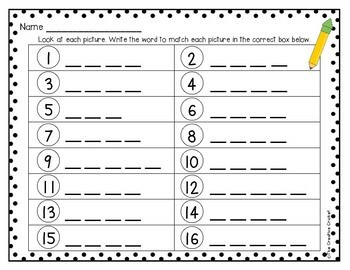 Students move to each card and record the word in the corresponding box on their recording sheet. 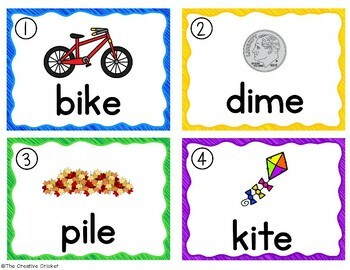 *This activity could also be placed in a literacy center!